Michigan's Career and Technical Education (CTE) programs provide students the necessary academic, technical and work skills to help them succeed in college and careers. State-approved programs are grouped into 17 career clusters, that provide rigorous content aligned with challenging academic standards, as well as related relevant technical knowledge and skills. The blend of work-based learning experiences through partnerships with business and industry, and the development of soft skills through student leadership opportunities, provides a seamless transition into higher education and the world of work. The entire program supports the pillars of the Michigan Department of Education's Top 10 in 10 initiatives. Every year, more than 100,000 Michigan students participate in CTE programs ranging from business, management & administration to health science to information technology. 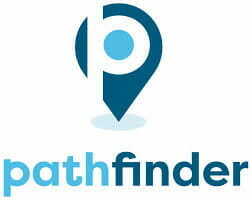 Search for Michigan's CTE programs by program or location using an interactive map. In 2017-18, 110,316 high school students were enrolled in the 2,001 secondary CTE programs available across Michigan. 45,504 of those students successfully completed a secondary CTE program. 91,993 college students were enrolled in the 345 postsecondary CTE programs. 17,979 of those students successfully completed a postsecondary CTE program. Find more high-level information on the CTE Fact Sheet. The Career and Technical Education Information System is a web-based application that collects information for state-approved CTE programs in Michigan. Some of these data are aggregated and displayed on CTEIS Reports. Enrollment reports are broken out by how far students have progressed in their program: participants (completed less than half), concentrators (completed more than half), and completers. Reports are available by demographic subgroups and grade or specifically by race/gender and grade. Performance evaluation reports assess the quality of CTE programs based on measures such as student academic and technical performance, graduation from high school, placement in postsecondary education, and preparation for the workforce. Reports are available by all CTE students and by special populations. Follow-up survey reports summarize placement, continued education, and employment of CTE completers. Reports are available by summary and detailed information. 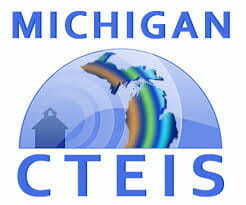 The Michigan Department of Education has recently released a series of CTEIS Dashboards. The CPI Performance dashboard shows each of all Perkins Secondary Performance Indicators, compared with State target and 90% of the target. The Rankings dashboard shows the rankings of each Perkins Secondary Performance Indicators by region, or by CEPD. The Trends dashboard shows the trends of each Perkins Secondary Performance Indicators over most recent 7 years. Educational Attainment by High School CTE Status: Shows how educational attainment differs among high school graduates who participated in career and technical education in high school. Award After Postsecondary CTE Completion: Displays the count and percentage of students who earned a CTE postsecondary award and one or more subsequent postsecondary awards. High School CTE Status of Postsecondary CTE Completers: Shows the count and percentage of students who earned a CTE postsecondary award and participated in high school CTE. Postsecondary CTE Awards by High School CTE Status: Displays how many high school graduates earned a postsecondary CTE award and whether they participated in high school CTE. Median Annual Wages by Educational Attainment and High School CTE Status: Shows the count and percentage of the highest education level achieved for a high school graduating class broken out by high school CTE status. The report also shows the number and high school CTE status of employed completers whose wages are being summarized.